Today we’re taking a look at how introducing the employee ownership model both at the start of life for a veterinary practice, and also as a buy-out alternative to selling up, is gaining momentum around the UK. Everybody is familiar with Employee Ownership through famous businesses such as the John Lewis Partnership – but few are aware about how significant the business model has become in the UK. Employee Ownership now represents tens of billions of pounds worth of business in the UK and it is growing! There is no ‘one size fits all’ approach here either – employee ownership is flexible and can allow a group of employees to take over a business with differing shareholdings or to start one from scratch with all employees on an equal footing. Employee ownership is gaining momentum due to its unique ability to achieve greater commitment and engagement. It also provides a sound long-term plan for succession that does not follow the crowd – and inherently taps into the community values that are fundamental to many vets. Animal Tails Vets, based in Stirling, is a practice with a difference – it is the first employee owned veterinary practice in the UK – and it’s achieving substantial growth and success as a result. Formed six years ago the practice has the usual team of receptionists, nurses and vets – but all six employees have equal shares in the business and equal voting rights. The employees are all paid salaries in line with what would be considered the ‘normal’ market rates appropriate to skillsets – however, at the end of the year any dividend payments are shared equally amongst the team. Practically, getting the bank to back a brand-new business was hard. This is where consultants, Baxendale, who specialise in helping businesses adapt and innovate through the employee ownership model, really helped Animal Tails. Ewan Hall, the Legal Director for Baxendale (which is employee owned itself), notes that “businesses are exploring employee ownership as a forward-thinking alternative to traditional models. It’s a brilliant way of doing business that benefits all employees, can lead to real commercial advantages for the business and, if structured appropriately, can allow for tax free bonuses for employees and tax free exits for owners”. Employee ownership is not just a means of keeping the practice in the independent sector, however – it also makes sharp business sense. “Everyone should consider the model – anyone who puts an investment into the business needs to have their voice heard.” explains Stephanie. “Clients experience levels of customer service and attention that they would not experience consistently at other practices and this has led to amazing business growth”. Employee ownership is not just for new practices but can also be used as an alternative succession plan for businesses with one or two founder partners looking for an exit strategy. Another practice, Shetland Vets has taken such an approach. “Employee ownership is a great option for the small, private veterinary practices who, faced with the problem of succession, want to remain independent without individuals taking on financial burden” explains Toni Locke, a vet and one of the directors at Shetland. The practice became employee owned in 2014 when the previous owners were considering succession and wanted retain the independence of the practice while also boosting the practice’s ability to recruit and retain good staff. Toni goes on to note that “it’s a significant alternative [to selling to corporates] and needs to be considered. It boosts staff morale and supports a love of the job”. The success shared by both Shetland Vets and Animal Tails certainly seems to prove this! For more information on employee ownership, whether you’re considering selling, setting up your own practice or simply want to consider alternative succession plans for the future, get in touch with us at info@vetsure.com. You can also watch Baxendale’s video on employee ownership here. 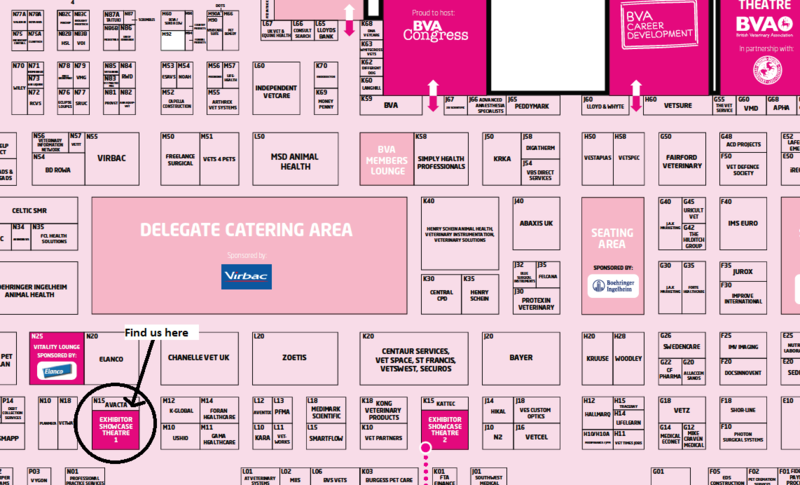 Be sure to visit us at the London Vet Show, Exhibitor Showcase Theatre 1 (click here for an exhibitor hall map), on Friday November 16th at 3.15pm for our talk on alternatives to corporate acquisition where you’ll be able to talk to our experts on succession planning and employee ownership. Alternatively visit us on stand H60 either day to discuss further! I looked at this very carefully as a means of succession in my practice - I joined EOA for a year and attended some of their regional meetings and found the EO community very inspiring. I also spoke about this in my presentation to Vet Dynamics conference in 2017. Sadly, I have to confess that I eventually sold to IVC because I couldn't make the numbers work at my time in life - had I been 5-20 years younger I would have done this - worthy of serious consideration as an alternative to corporate takeover and really inspiring to staff. This is a really interesting development, I feel....and it offers choice, which is a good thing. Good luck in spreading the word!